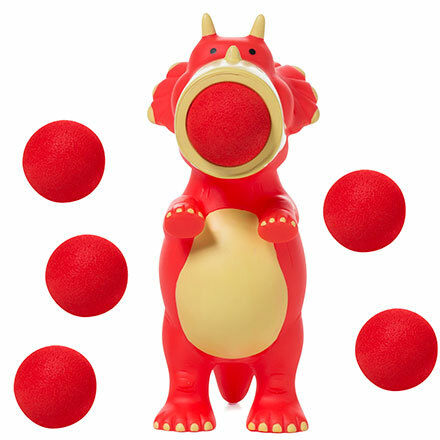 These poppers are loads of fun and safe to use. 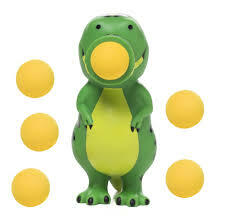 They shoot soft foam balls out of it’s “mouth” by squeezing it’s “tummy.” Caution: don’t try this on a real dinosaur. 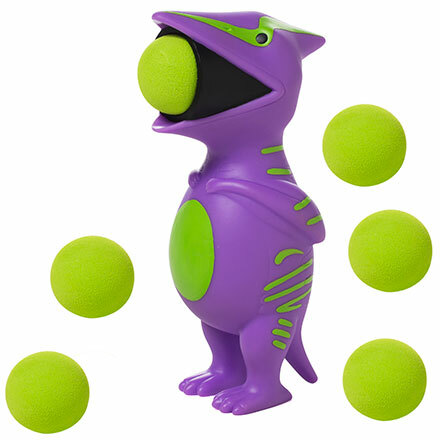 The harder you squeeze, the farther the ball goes (up to 20 feet!). Comes with 6 soft foam balls and a carry net. Good indoors or outdoors. Recommended for 4 and up (but most 3 year olds will be able to shoot it). Party idea: Set up a basket or target somewhere and let the kids take turns seeing who can get the most in the basket. Adults: do the same thing except have a drink or two first. Tags: ball, basket, foam, net, popper, squeeze.